Tia is making her Kokandy Productions and Chicago debut! 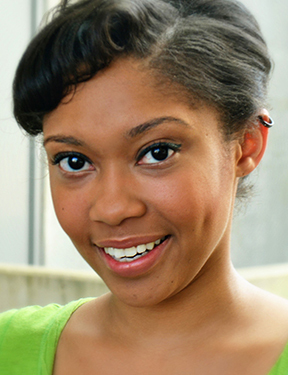 Tia studied Music Theatre Performance at Western Michigan University. Credits: “Ensemble,” Spamalot; “Chiffon,” Little Shop of Horrors (Farmers Alley Theatre), “Alice’s Daughter,” Big River; “Tiger Lily,” Peter Pan; “Lil Inez,” Hairspray (Timberlake Playhouse), “Clarice,” King Stag; “Emmie,” Caroline, or Change; “Sophie,” Ruined (Western Michigan University) Loads of gratitude to all who have supported along the way, especially Mom, Dad, and Joey T.